Last night world renowned pole adversary Kanye West screened visuals for New Slaves, the first full song to be heard off his upcoming solo album Yeezus, in 66 locations across the globe. 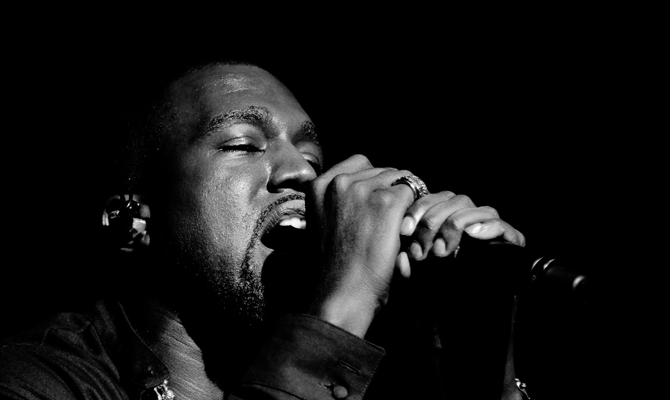 Against a typical modern-era Kanye beat the song explores the parallels between slavery in the traditional sense and the concept of being a slave to luxury, flowing into what is more a “can’t fxck with Ye rant” and rounding off with a more uplifting and sparkly high pitched chorus. Overall I think the song is alright. I mean, it’s not amazing, but it’s certainly better than what we’ve heard Kanye do in some instances. It’s got that Cruel Summer kind of vibe which is a love or hate kind of thing and it does make me want to hear a bit more from the album, though I’m not sure if that’s because the production on Dark Fantasy was amazing and my brain simply wants more of that. Kanye’s sixth solo album Yeezus is out June 18th, and features appearances from Frank Ocean, Hudson Mohawke, Daft Punk and, as it always seems to be these days, Skrillex.